Nintendo’s Dragalia Lost (Free) had some big news today to across three main categories. The next Summon Showcase has been revealed with a focus on dragons. Summoning is changing later this month and we finally have a date for the Fire Emblem Heroes crossover event. This event will see Nintendo bring its two most popular mobile games together. 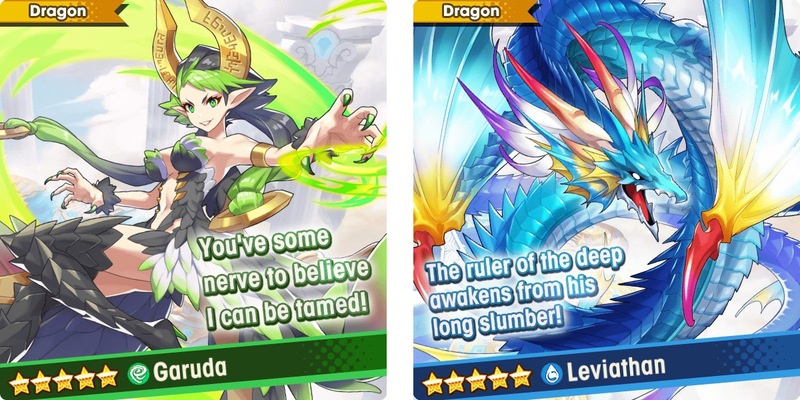 The Dragon Special summon showcase sees increased appearance rates for not just 4★ and 5★ dragons but also adventurers. It begins at 11:00 PM on April 11th (PT). There aren’t any featured wyrmprints here but they are included in the pool. Summoning is changing after April 25th (PT) thanks to feedback received. Wyrmprints will no longer appear when summoning after April 25th. Wyrmprints will be acquired through the in game shop by exchanging eldwater. The in game shop will have previous summon showcase wyrmprints as well. 5★ can be acquired as rewards through some quests which will be detailed later. Edlwater balance with how much you acquire will be tweaked as well. All players get a nice gift of 4,500 Wyrmite and 25,000 Eldwater on April 26th. The Fire Emblem: Lost Heroes event is arriving on April 25th at 3 AM (PT) and it will be on until the middle of May. Details will be announced soon. Dragalia Lost is free to play on iOS and Android Read our review of it here. They finally brought the game to more regions like Ireland, the United Kingdom, Australia, Canada, Singapore, and New Zealand recently and I hope the service expands further in the near future. Do you still enjoy playing it daily and what do you expect from the Fire Emblem event besides more Camilla of course?